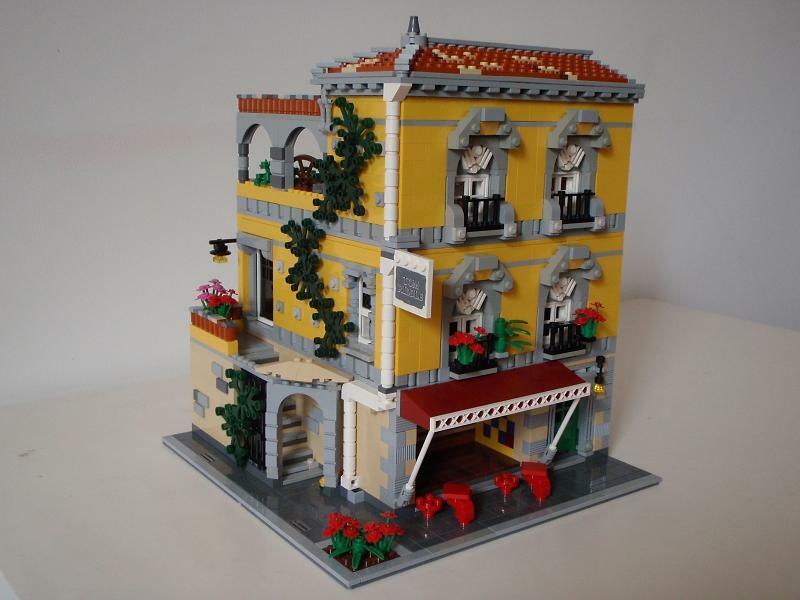 Brick Town Talk: Cafe Spanish - LEGO Town, Architecture, Building Tips, Inspiration Ideas, and more! Take a look at this beauty! Love every single detail, every single color. "Which of the 3 Modular sets is your favourite?"